People need a champion to fight for them, and resolve their case in a favorable and efficient way. I am a problem solver who can help you pierce through the most complex situations, and a trusted adviser to my many long-term clients. After 32 years as an attorney, I take pride in representing individuals. I have extensive experience in both Bench and Jury Trials. My clients have been seriously injured people, disinherited spouses and children, and beneficiaries who need an ally to level the playing field against powerful adversaries. I have represented small business owners negotiating new deals or resolving old disagreements, and candidates involved in election contests. Chances are good that I have seen and handled your particular problem before, and my opponents know it. If a fight is required, you will be well represented. An ounce of prevention is worth a pound of cure. Failing to plan your estate invites disputes among your loved ones and beneficiaries. Everyone should have a plan for the orderly handling of their Estate, including a Will, a Living Will, and Power of Attorney. As of January 1, 2017, New Jersey Estates under $2,000,000.00 were are no longer subject to the New Jersey Estate Tax, and as of January 1, 2018 the New Jersey Estate Tax was repealed completely. For New Jersey residents Estate Planning has become simpler and less tax sensitive. If you are like most people planning their Estate, your wishes, and not tax considerations, may now guide your plan. Let me make a plan that fits your needs, and put your affairs in order. In many cases, reasonable flat fees are accepted for reciprocal estate plans for husbands and wives. When you suffer a loss, legalities are the last thing on your mind. In many cases, the process of handling an estate is simpler and less stressful than you might think. I have the experience to help you through this process. I am ready to deal with and assist families in disarray or disagreement. When dealing with the estate of a loved one who has passed away, the legal probate process can seem confusing and overwhelming. Sometimes a will is "contested" which means there is a formal objection challenging the validity of a will. When this happens, I advise my clients about their legal rights and about cost-effective options for resolving the dispute. Buying or selling residential or commercial real estate is one of the biggest transactions in a person's life. Understanding and negotiating these transactions can be complex and confusing. Let me guide you through the process and protect your rights in contract review, structural and environmental inspections, title inspection, and document preparation, and review. After 12 years of service as Municipal Prosecutor I know how important your Municipal Court case can be to you. Consequences can be severe and permanent, so don't go it alone. I can guide you through the process and present your best defense to the Prosecutor and the Court. 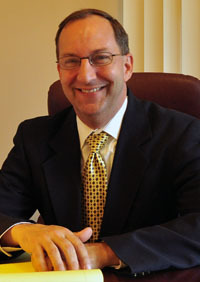 I have extensive experience in successfully defending DWI, Criminal, Zoning, Code Enforcement, and Traffic matters. If you find yourself in the midst of a legal controversy related to a business matter such as contract negotiation or termination, employment, and non-compete issues, I have a proven record as a problem solver who strives to provide services by understanding my clients' needs and objectives. I am adept at developing proactive strategies to avoid litigation if at all possible through arbitration and preparing and executing effective litigation strategies. You will not find me advertising on a billboard or on TV. But, I have handled and successfully resolved thousands of personal injury cases. For the last twenty years, my personal injury practice has focused on cases of seriously injured people who have been injured through the carelessness of others. I can present your strongest arguments.